Home › news › Football, mandatory in Chinese schools; good news, bad news ? 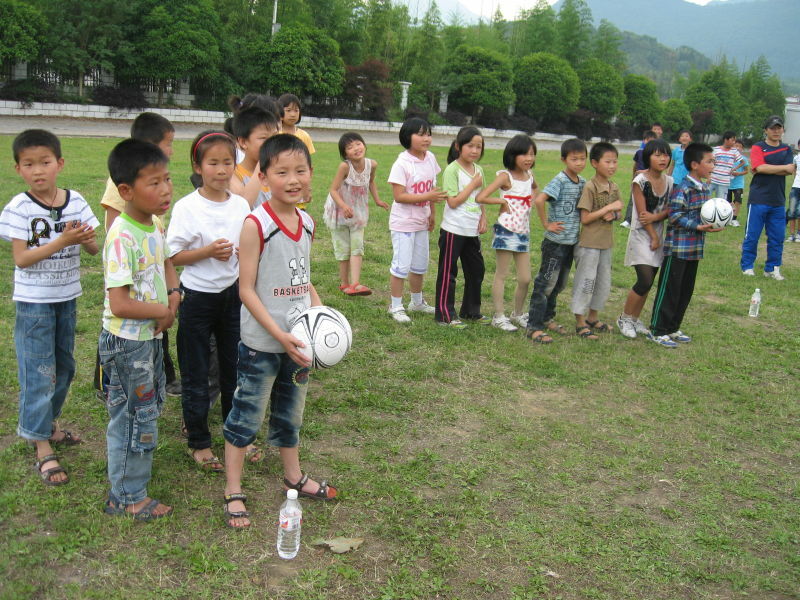 Football, mandatory in Chinese schools; good news, bad news ? Chinese children to study football at school, like mathematics and literature ? China’s current FIFA ranking, is 99th, behind “small” nations, as Quatar and Monzambique. The chinese team has participated in only one World Cup(Japan + South Korea, 2002) and were eliminated in the group stage, after losing the three games, conceding nine goals and scoring only once. At a recent assembly, of the State Council ( the Chinese government) it was decided to transfer the promotion of football from NFA( National Football Association) to Chinese Youth Ministry of National Education, reported by China’s official newspaper, China Daily. There are several reasons behind this unusual decision; China’s Football Association is weakened by a great number of corruption scandals and they seem unable to meet the government’s wish for a strong competitive football, on level with the other major sporting events. Peking University’s dean of sports, Wu Wenquiang, declared that “ Football, has never been properly promoted in Chinese schools, because of the predominance of studies”. Hechun Liu, a sports instructor, agrees wholeheartedly about the government’s decision:” The chinese football could have reached a global level already, if the game was promoted earlier, at school” he said, hoping that his school in Northeast China, would benefit very soon of this new law. Ever since Barcelona’s Olympics in 1992, China harvest medals in many different sports, as table tennis, judo, athletics, weightlifting, or swimming. But the most populus country in the world, with almost 1,4 billion people, lack suprisely football feats. The attempt to bring great( but past their prime) players, like former Chelsea’s Nicholas Anelka, had not worked. By training children from an early age , did the Chinese government take the right decision? So, football education, will be compulsory in Chinese schools.The children won’t have any choice, but practice a sport to raise the national level and help their country shine in the world’s number one sport. This law, will be applied first in 20.000 schools, then in the whole nation and this could be annoying, for it’s not the first time that China oblige their youth to comply to their nation needs. Years before the Olympics in Peking, thousands scoots went to schools all over the country and recruited young children, separated them from their families, to train for the incoming Games. We all remember the incredible amount of medals won by the home participants. Was it worth and for whom ? Practising sports, especially for the young ones is very good, not only for the body, but also for the mind; shouldn’t they have the freedom to choose the sport they like the most? This law denies them the opportunity to practise basketball or any other sport, but football. Playing football at school? Yes, if it’s the child’s decision. The State’s job is to help the youngsters practice the sport of their choice, not changing them into goal-scoring machines for the country’s glory. Good or Bad News ? What’s your opinion ? ‹ Adrien Rabiot, Tottenham bound? #aWinterWindowTale…or not!